For 41-year-old cardiologist Christy Huff, life—once fulfilling and happy—is an unrecognizable nightmare. She’s incapacitated by a laundry list of symptoms (pounding heart, severe nausea, low appetite, insomnia, muscle spasm, acid reflux, severe constipation, confusion, anxiety, and depression) and needs a nanny to look after the basic day-to-day needs of her 6-year-old child. Her anxiety is excruciating. “I constantly live in a state of terror,” Dr. Huff says. The only fortunate part is that she made the decision several years ago to put her medical practice on hold to be a stay-at-home mom. These days, she says, she’s barely existing. Working as a physician would be out of the question. Dr. Huff’s terrifying misadventure began innocuously enough. She was prescribed alprazolam 0.5 mg three times daily by her primary care physician in August 2015 for severe dry eye syndrome. The benzodiazepine, her doctor told her, would help her sleep. After only a few weeks, she began to experience severe anxiety, which required an increase in alprazolam. Then came the chest tightness, difficulty breathing, inability to swallow, and tremors. Research told her she was not only dependent on the drug after just a few weeks but was also experiencing symptoms of interdose withdrawal. She found a psychiatrist who agreed to help her wean off the alprazolam by crossing over to diazepam. More than two years later, she’s still struggling. “My taper progress is slow and painful,” she says. Believe it not, she’s one of the lucky ones. In the last few years, the dangers of opioids have become a hot topic as the number of narcotic overdose deaths has skyrocketed. But now, a new drug crisis has America in its grip. Studies show that the use of benzodiazepines—prescribed for insomnia, anxiety, and other behavioral health conditions—is on a sharp upward trend. Benzos are now among the most frequently prescribed medications in the country, and the number of related fatalities has soared, with almost 7,000 people dying annually from overdose or too-rapid withdrawal. Many more, like Dr. Huff, have suffered debilitating effects. In short-term use, benzodiazepines can be valuable, sometimes even life-saving, across a wide range of clinical conditions. They’re fast and effective as anxiolytics, hypnotics, myorelaxants, anticonvulsants, and sedatives for medical procedures. But the downside is significant. 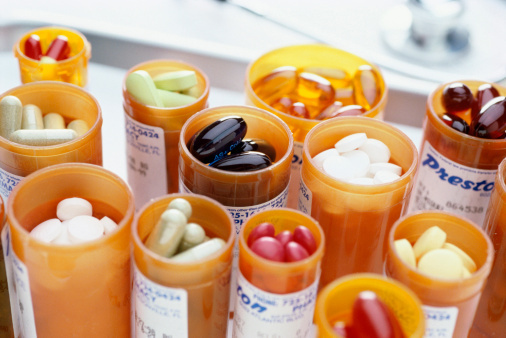 Patients can experience side effects even when taking benzodiazepines at the recommended dose. The risk of adverse effects increases significantly as the dose rises, or when benzodiazepines are taken with antidepressants or oral contraceptives. Benzos can cause suicidal thoughts and actions and present special risks for pregnant women and the elderly. They’re also addictive. 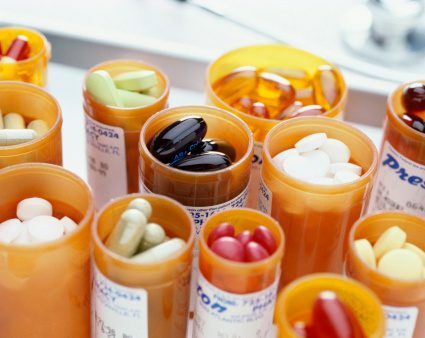 In 2016, the FDA issued a warning to healthcare professionals that opioids and benzodiazepines should not be prescribed together unless alternative treatments are inadequate, as the combination increases risks of oversedation and death. In fact, benzodiazepines have additive effects with several other drugs that have sedative actions, as well as with alcohol. What makes this issue scary for me on a personal level is realizing that Dr. Huff’s story could have been mine, or the story of one of my family members. My mother had a years-long battle with chronic insomnia. After the usual “home remedies” (warm milk, hot baths, herbal tea, tryptophan-laden turkey) didn’t work, her doctor prescribed a benzodiazepine. I distinctly remember her cutting those tiny white pills into fragments; she would take one sliver only as needed, worried that she’d become addicted to them and would never be able to sleep naturally again. My mother has passed away, but the problem lives on. Several of my siblings have sleep disorders. My oldest brother sometimes can’t sleep for days, but he won’t take anything for it. This has been going on for years. One of my adult children—happy and healthy most of the time—experiences episodes of significant anxiety, a condition made worse after several deaths in the family in fairly quick succession. A physician suggested alprazolam, but I urged him to try cognitive therapy first. It’s not that I don’t believe in medication when appropriate, but as a CME researcher and writer, I read about medical (and medication) mishaps every day, and it’s made me even more gun-shy about pills than I was before. At my last checkup, the nurse expressed amazement that, “at my age,” I wasn’t on any medications at all. Most people, she said, are on three or four. I think—and many researchers and healthcare providers agree—that we’re often a little too quick to throw pills at a problem that might be solved by other means. And by “we,” I mean patients requesting them and physicians prescribing them. One study noted that “Americans take more pills today than at any other time in recent history—and far more than people in any other country.” According to CDC and FDA statistics, nearly 1.3 million Americans ended up at the ED in 2014 because of adverse drug effects, and about 124,000 died. When it comes to benzos, many patients and doctors don’t fully realize the risks or give much thought to safer alternatives. Last September, Dr. Huff testified before Massachusetts’ Committee on Mental Health and Substance Abuse in support of Bill H.3594, which would require a patient’s express informed consent and stricter regulation of benzodiazepines, possibly paving the way for similar legislation in other states. Dr. Huff testified that she—like countless fellow victims she has met since becoming ill—was prescribed this medication without being warned of the possible consequences by her doctor. Experts urge healthcare providers to read the latest research on benzodiazepines before prescribing them and to make sure that patients realize what they may be getting into—and what their other options are—before taking them. They also suggest that providers give more consideration to natural, nonpharmaceutical treatments as alternatives. Growing evidence suggests that cognitive therapy, mindfulness, meditation, and yoga are effective for patients with depression, insomnia, and anxiety—and safer for doctors as well! What have you and your organization done to manage benzodiazepine prescriptions and adverse consequences? Let me know in the comments below! An Act Relative to Benzodiazepines and Non-Benzodiazepine Hypnotics, HR 3594, 190th Leg (Ma). https://malegislature.gov/Bills/190/H3594. Carr T. Too many meds? 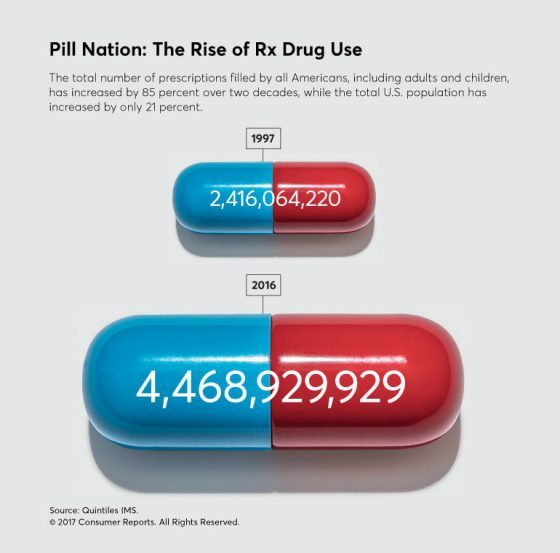 America’s love affair with prescription medication. Consumer Reports. August 3, 2017. www.consumerreports.org/prescription-drugs/too-many-meds-americas-love-affair-with-prescription-medication/#nation. FDA Drug Safety Communication: FDA warns about serious risks and death when combining opioid pain or cough medicines with benzodiazepines; requires its strongest warning. August 31, 2016. www.fda.gov/Drugs/DrugSafety/ucm518473.htm. Huff C. Dr. Christy Huff in support of Massachusetts Bill H.3594. September 7, 2017. www.benzoinfo.com/2017/09/07/dr-christy-huff-in-support-of-massachusetts-bill-h-3594. National Institute of Mental Health. Despite risks, benzodiazepine use highest in older people. December 17, 2014. www.nimh.nih.gov/news/science-news/2014/despite-risks-benzodiazepine-use-highest-in-older-people.shtml. I am 63 years old tapering 1 mg of Clonazepam after 20+ years of use. I was told taking the drug is “what you need to do to take care of yourself”. I began trying to stop taking the drug as I’m having cognitive and memory issues. I have been tapering for a year and a half with multiple symptoms. Severe burning pain in my upper body, heart palpitations and a diagnosis of A-Fib, panic attacks, constant intense tingling, bee stinging sensations, continued cognitive and memory issues, debilitating fatigue, muscle spams, tremors, intense weakness and muscle atrophy. Pressure sensitivity is the most troublesome as I am unable to tolerate clothing that is remotely fitted. The pressure sensitivity made it all but impossible to sleep for months as I was unable to lie comfortably on my mattress or even lean back in a chair. I had to “sleep” atop spongy pillows for several months. The burning sensation was so severe which causes my heart rate to elevate to the point it feels it will pound out of my chest. I am only able to tolerate a taper of 2-3% a month so the process will be close to three years in it’s entirety. It has cost me time with my family and friends. I find it difficult to keep up with domestic chores and am unable to work in my yard or manage household repairs. Depression and anxiety are constant companions. Please stop prescribing for more than 2-4 weeks and please, please, please stop forcing people to cold turkey. This is incredibly dangerous and many lives have been destroyed due to this irresponsible, uncaring practice. I beg you to take the profit from the sale of this drug to now support people who are sole supporting and possibly raising children. Marriages and families have been destroyed due to this drug. People are suffering horribly and live in incredibly insecure situations due to their forced helplessness. I was lied to by my Doctor who told me Klonopin was nothing to be concerned about. My first taper failed and I had to go even slower, tiny increments. Its been almost 4 years since my taper. the Taper took 18 months. I feel like I was lucky compared to other people. I have never been through anything like that without help from any Doctor. Klonopin was not “nothing” it was a nightmare you wake up to one day with no warnings. I’m a nurse who’s been on Ativan for 25 years. (I was started at 3 mg a day as a teenager). Taken EXACTLY as prescribed by my doctors. I have never in 25 years ran out of a prescription early. STOP treating us as addicts. We are dependent on these drugs. I’ve been in tolerance for years, not knowing what was wrong with me. Had test after test, all negative. None of my doctors caught it, none of the doctors that I worked with caught it. It was finally figured out when I got a new Psychiatric NP. I also found out that I have been having interdose withdrawals for over a year now. That’s when I joined Facebook groups and learned all that I could and to say the least I was shocked! I took took the information and the Ashton Manual to my NP and thankfully she was willing to learn, (that’s right LEARN because medical professionals don’t know how to get people off of them) how to help me and approved a water taper. Many are not this willing to learn so I feel blessed in this way. I’ve been too sick to work for 3 years and turned down for disability twice. Waiting on a court date now with my lawyer to see a judge. I didn’t get to have children because I was told I would need to be on Ativan for the rest of my life due to my anxiety and I refused to put a baby through that. Ativan has literally ruined so many years of my life and continues to ruin it. I’m tapering now but I still have 6 mg to go. It will likely take me 2-3 YEARS to Taper off of them. Then I’ll go into acute withdrawals and God only know how long that will last and then how many more years it will take my brain and central nervous system to heal. So that I’m not sick. This is a living HELL but coming off of them too fast will KILL you. Please STOP sending people to detox, stop taking people off cold turkey, stop rapid tapers and stop prescribing them for more the 2-4 weeks as they were intended to be used. And PLEASE allow patients to taper at their own rate. CBT Therapy would have prevented me from ever needing these pills. Why is it always the last thing suggested??? Almost 31 months off a Dr. prescribed dose of Klonapin , taken as prescribed for 14 years, I am still very debilitated and suffer from a myriad of unpleasant and often terrifying symptoms.I was cold turkeyed off 7 years ago and had to be reinstated. It took 3 and a half years to taper off the drug a year later and every step of the way was excruciating.I have not been able to work or have anything resembling a normal life since the day I was cold turkeyed. I was told by the original prescriber that these drugs are safe and not addictive.They are dangerous and life threatening. Please do not prescribe the drugs for more than the 2 weeks that they were intended to be prescribed for. I have had no medical support through this entire nightmare and the only support I have had is through online forums.Prescribers……please educate yourselves on the enormous dangers of this class of drug. After 33+ years, I tapered off benzodiazepines. The process is grueling and long, and in my case disabling. Please, please don’t prescribe any benzodiazepine for more than 2-4 weeks. After being severely disabled by benzodiazepine withdrawal syndrome (see my story above), and finding little medical help or support available to aid in the taper process, I went online for answers. What I found there was shocking. Online support forums full of thousands of compliant patients who had also suffered adverse reactions and extremely difficult withdrawals from their prescribed benzodiazepine. Many are tapering with little support from their medical provider. Subsequently, I became an advocate for benzodiazepine awareness and reform. I am particularly passionate about educating health care professionals about safe prescribing and tapering practices. I currently am co-director at the nonprofit Benzodiazepine Information Coalition, which seeks to raise awareness about the potential harms caused by taking benzodiazepines, even exactly as prescribed. For more information, resources, and how you can help, please visit our website benzoinfo.com.